Greenberg Cosmetic Surgery (Southampton) - Book Appointment Online! I felt my visit was very informative. The staff was extremely professional & knowledgeable. 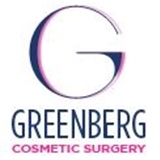 Dr. Greenberg was very patient, informative and made me feel very comfortable.